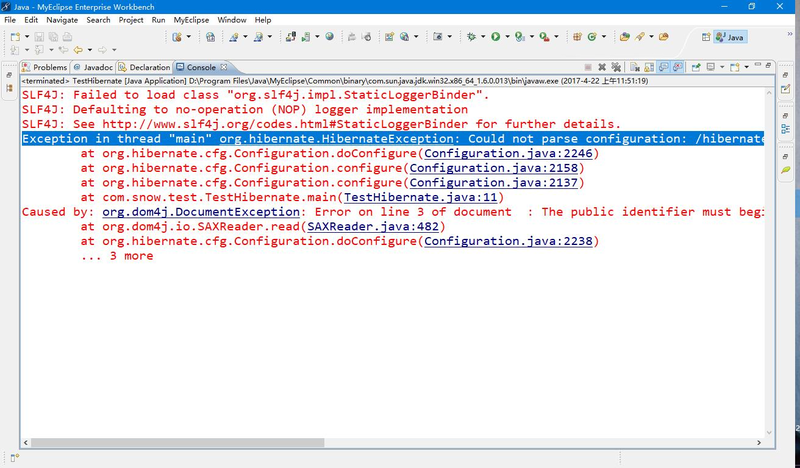 2018-06-12 SLF4J: Failed to load class "org.slf4j.impl.StaticLoggerBinder". 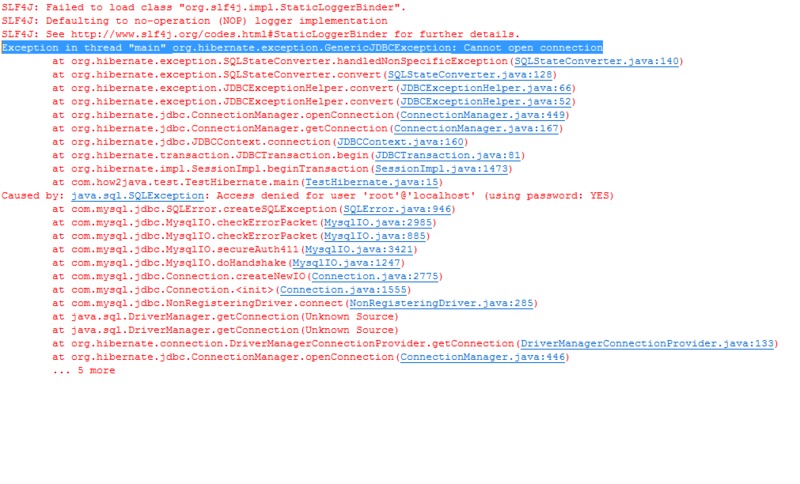 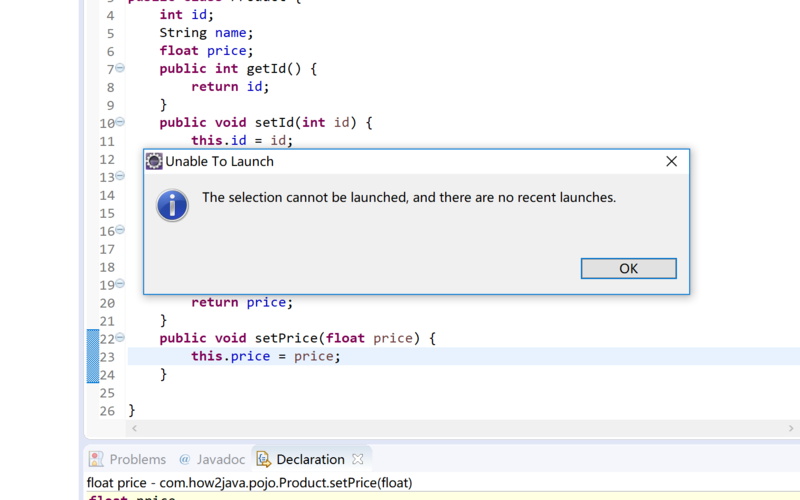 Exception in thread "main" java.lang.InternalError: internal error: SHA-1 not available. 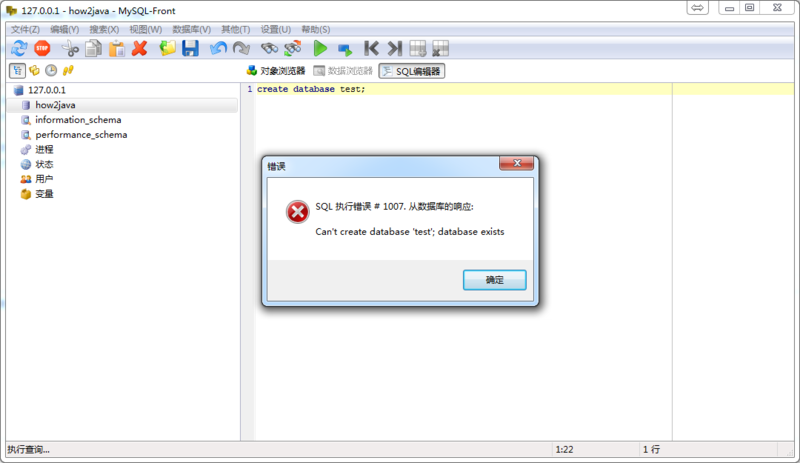 Caused by: org.dom4j.DocumentException: Error on line 1 of document  : Premature end of file. 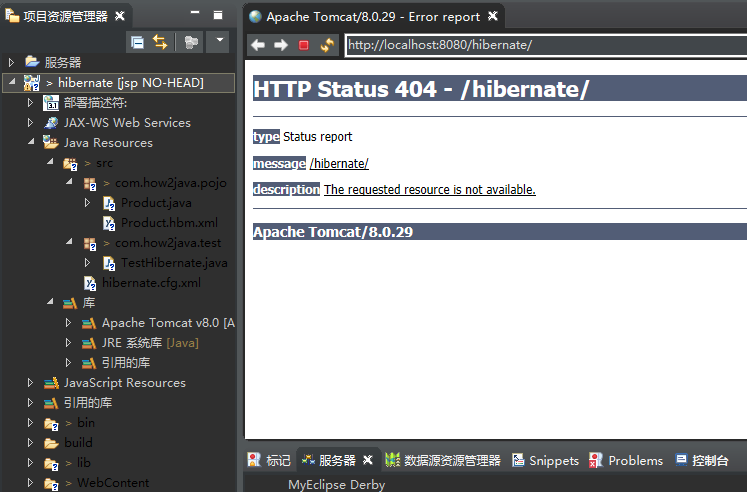 Nested exception: Premature end of file. 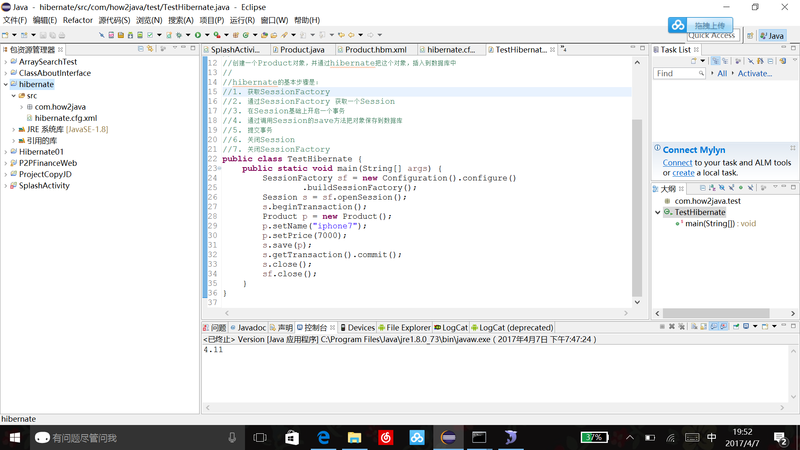 2017-09-04 为什么直接导入进去，错误为SLF4J: Failed to load class "org.slf4j.impl.StaticLoggerBinder". 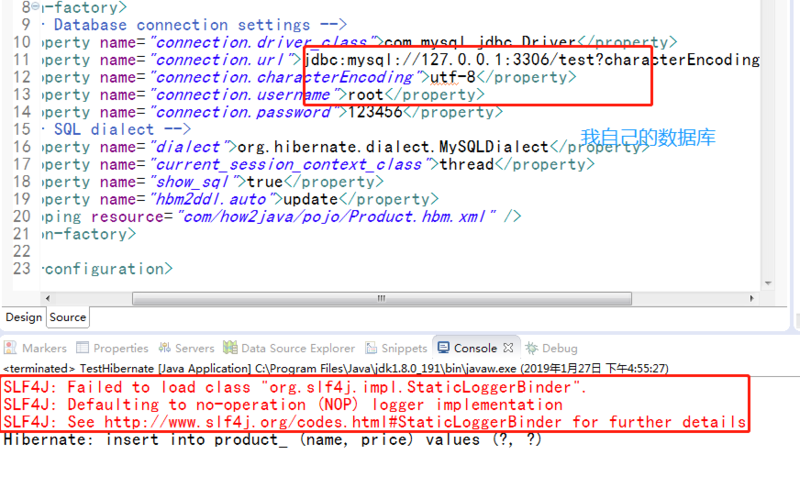 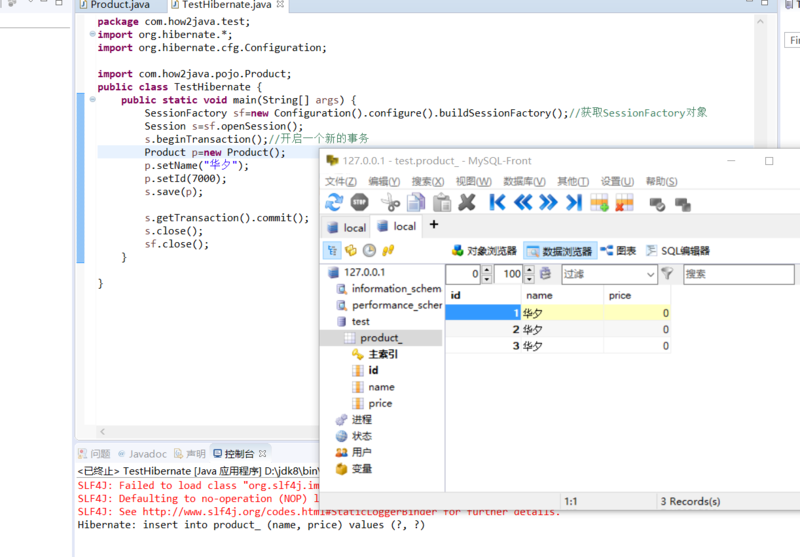 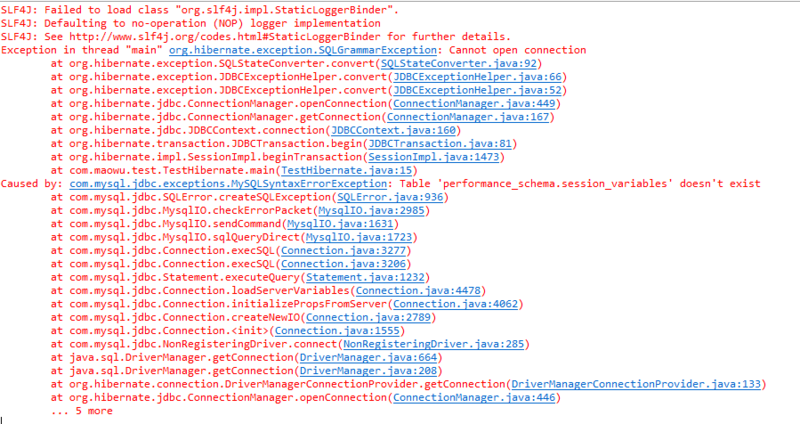 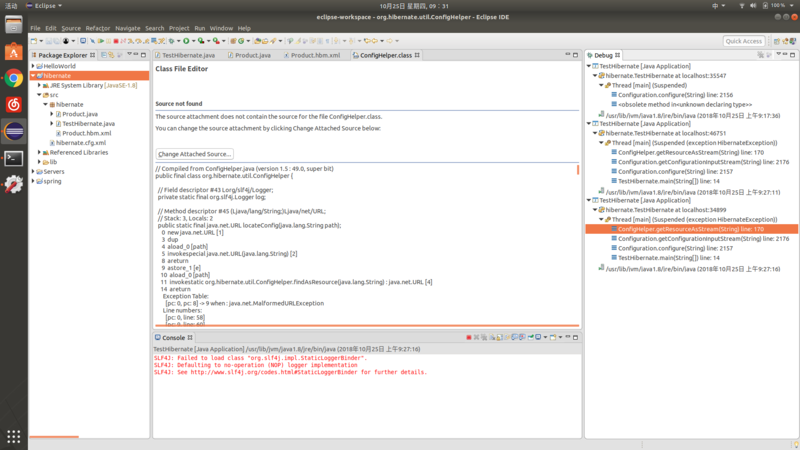 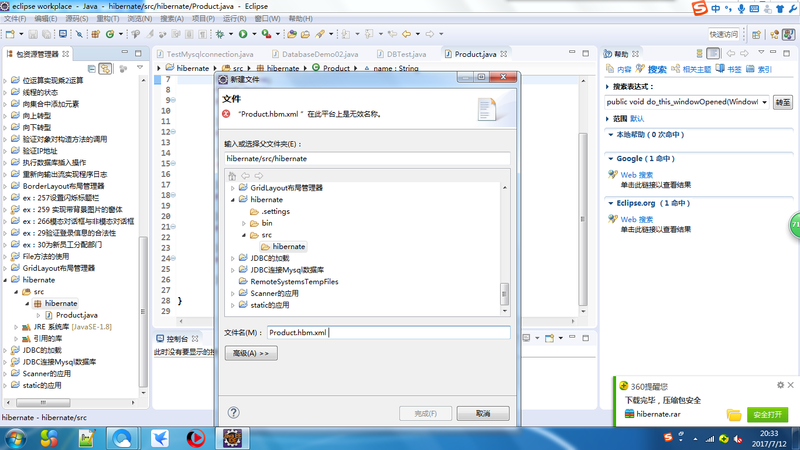 为什么直接导入进去，错误为SLF4J: Failed to load class "org.slf4j.impl.StaticLoggerBinder". 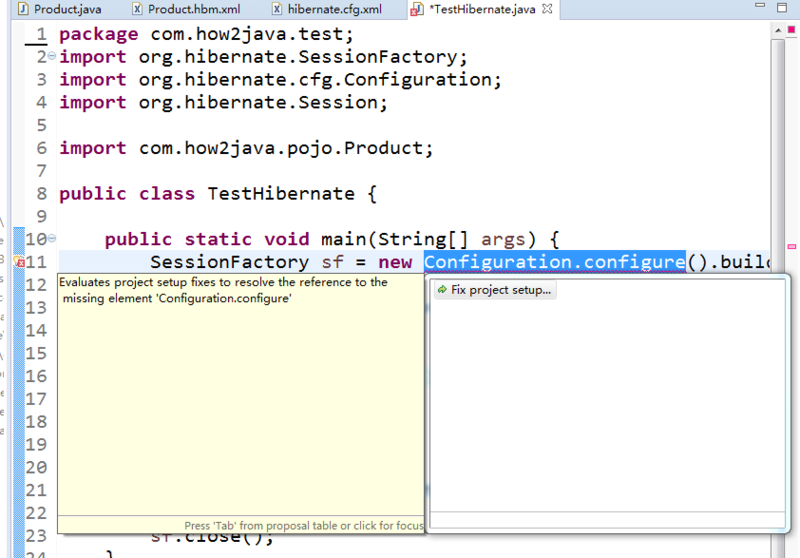 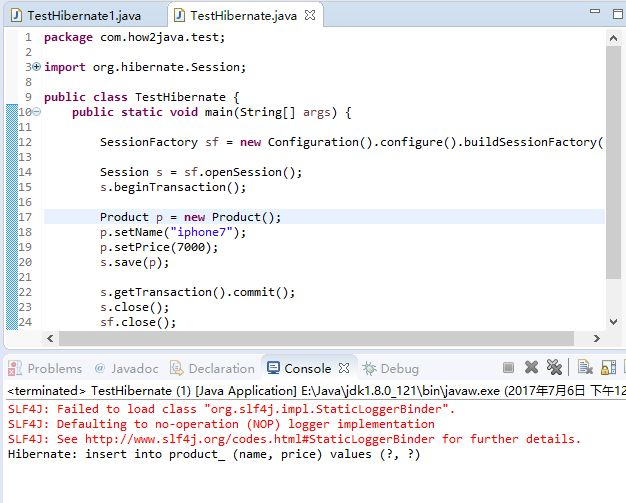 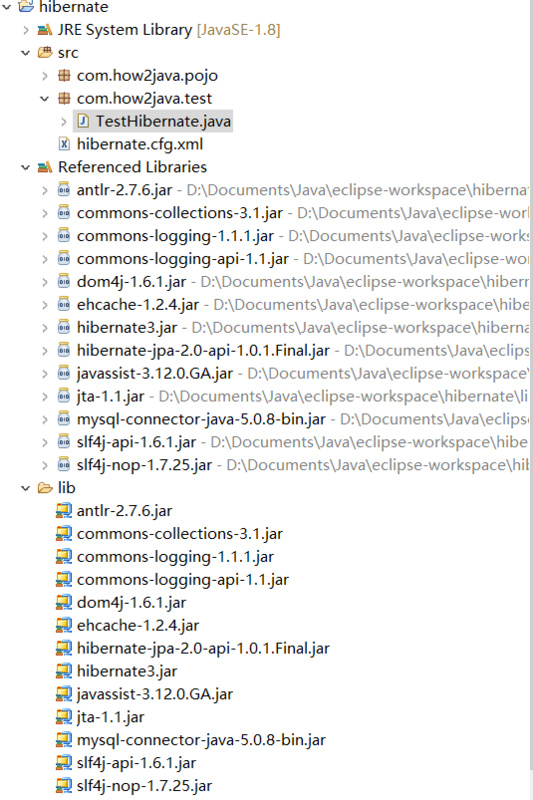 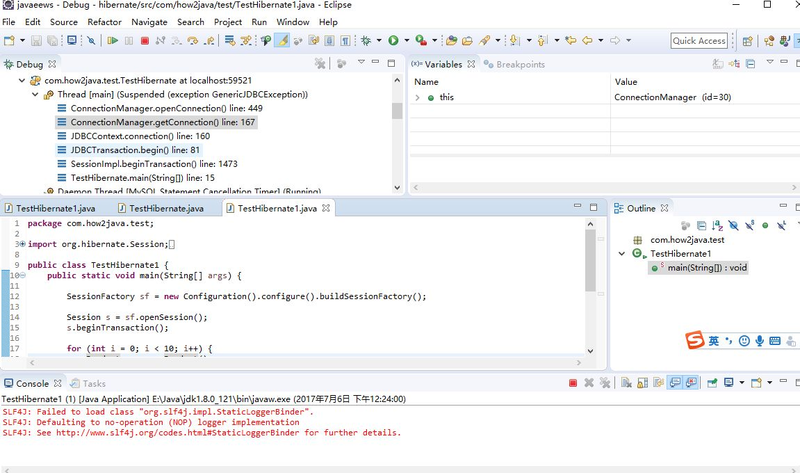 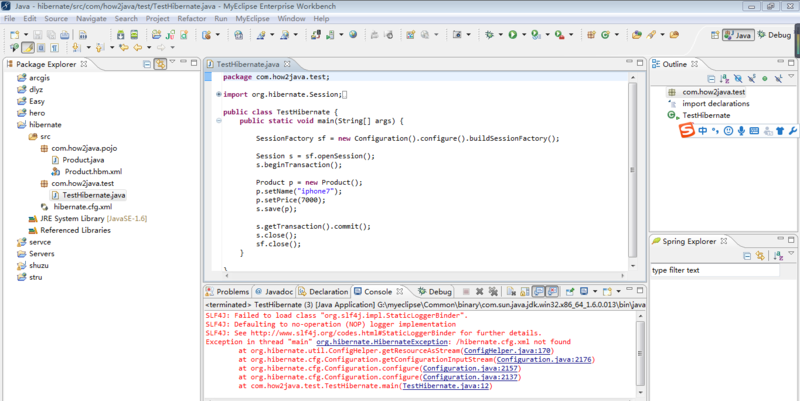 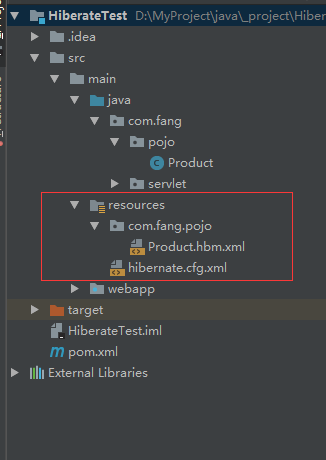 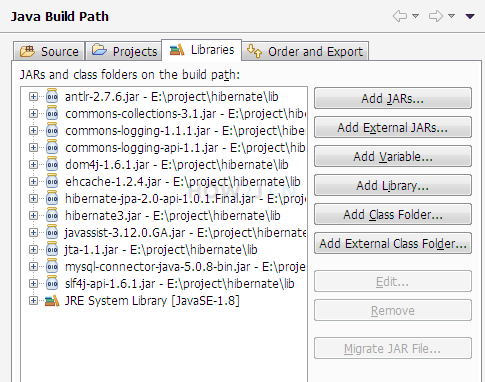 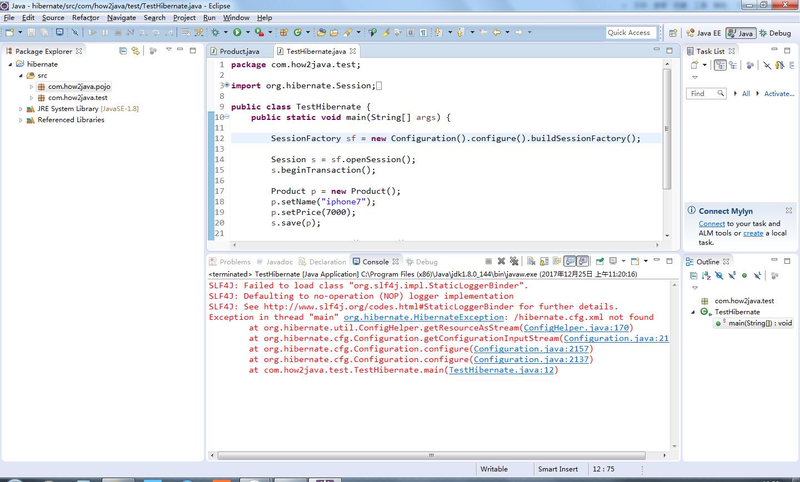 The JAR file D:\Documents\Java\eclipse-workspace\hibernate\lib\hibernate3.jar has no attachment. 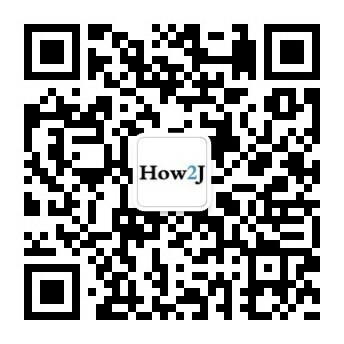 <id name="id" column="id"> <property name="name" /> 这里配置的时候，只写了属性name,没有通过column="name" 显式的指定字段，那么字段的名字也是name. 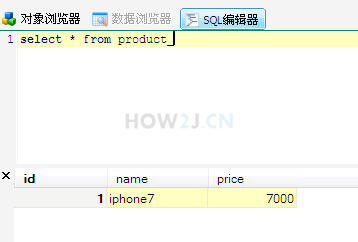 为什么name, price不采用 id 的方式？ column="name" column="price"
您给的实例中的代码倒是可以正常执行，但是运行时候出现了如下警告： SLF4J: Failed to load class "org.slf4j.impl.StaticLoggerBinder". 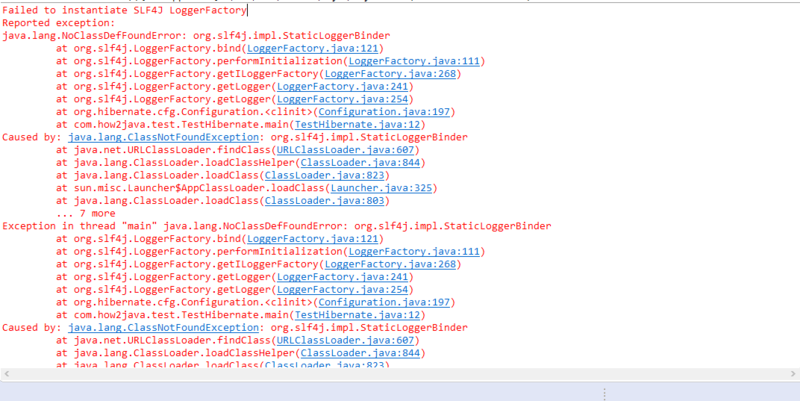 SLF4J: Defaulting to no-operation (NOP) logger implementation SLF4J: See http://www.slf4j.org/codes.html#StaticLoggerBinder for further details. 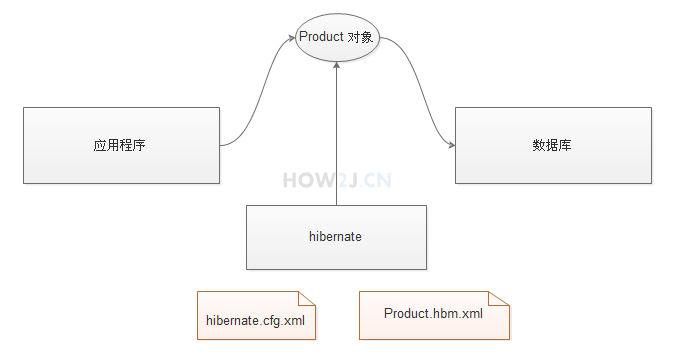 Caused by: org.dom4j.DocumentException: Error on line 3 of document  : The public identifier must begin with either a single or double quote character. 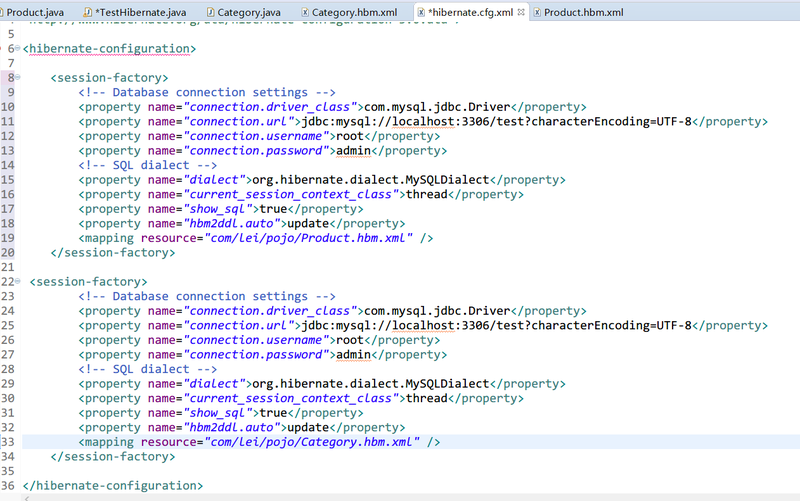 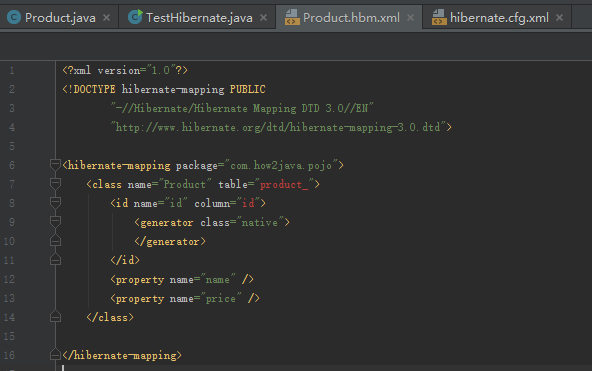 Nested exception: The public identifier must begin with either a single or double quote character.